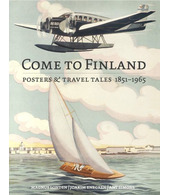 Because now we have reached the very essence of these cheerful greetings from Finland. We’re talking about this masterpiece by Helge Mether-Borgström’s, where a ship sails into the land of thousand lakes from the west. So simple, but oh how mesmerizing. Mether-Borgström isn’t any old graphic designer. 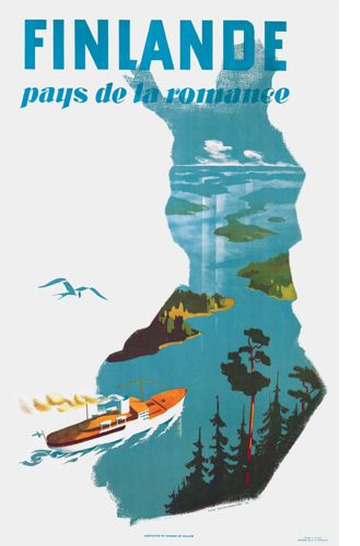 It was he who 1954 created Marimekko’s logo. 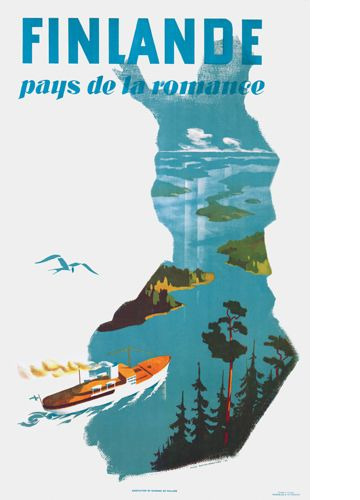 But looking at this iconic poster we really have just one question: Who was the virtuoso who came up with the slogan Finlande – Pays de la Romance? Give this wordsmith a retroactive raise! And a spot on the TV-show Mad Men.